Would you rather not be bothered by smacking people sitting next to you, or children running loudly behind balloons? 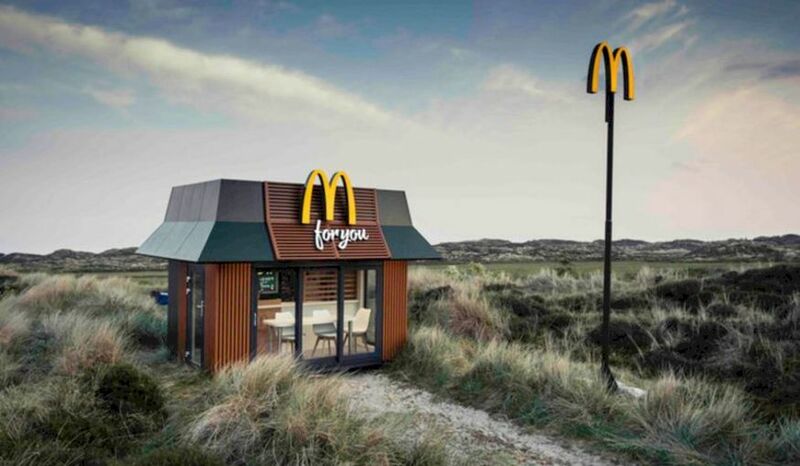 McDonalds has a portable mini-restaurant traveling around the Netherlands this summer. Lovers can let 'McDonald's For You' know online why the restaurant should come to a certain place. You can request a visit at your company, at your favorite spot on the beach, or just at your home for a party in your backyard. McDonalds decides which applications it will take. If they respond to your offer, five people will receive exclusive access to the restaurant that day. The first place where the small McDonald's went, is the Wadden Sea island of Terschelling, as can be seen in the above promo film (in Dutch). Normally the residents have to leave their island to go to McDonalds, but for once the restaurant comes to them. A strong example of live communication!